Do you have some trouble with waking up in the morning? Here are 8 ways to enhance your morning. Read on to find how to start a day with better status. To get the best results from your morning walk, have a walk after you eat breakfast. This will help with digesting the food that you just ate. To get all of the benefits, keep a brisk pace. You’ll know that you’re going fast enough when you begin to feel your muscles getting tired. Try to go a bit farther at your maximum pace every day. The thought of the time and effort to cook eggs can seem like too much effort. If it’s hard to get up early enough or you’re too tired to make eggs, try an alternative such as Greek yogurt, an energy bar (make sure it has protein in it), or even make a fruit smoothie with some soy protein powder. With the variety of protein available, you can prepare something easily or put some effort into, there’s no reason not to get your fill at breakfast time. Push-ups are quick to perform and don’t require any special equipment (although a carpeted floor helps considerably). To get results with push-ups, make sure you count how many you’re doing every day and make goals to surpass what you’re able to do. Yoga prepares your body and your mind for the day. There are a number of YouTube videos from yoga instructors that can get you started. If you find you like doing yoga and want to learn more, there are always local yoga sessions to help you with more complicated positions. 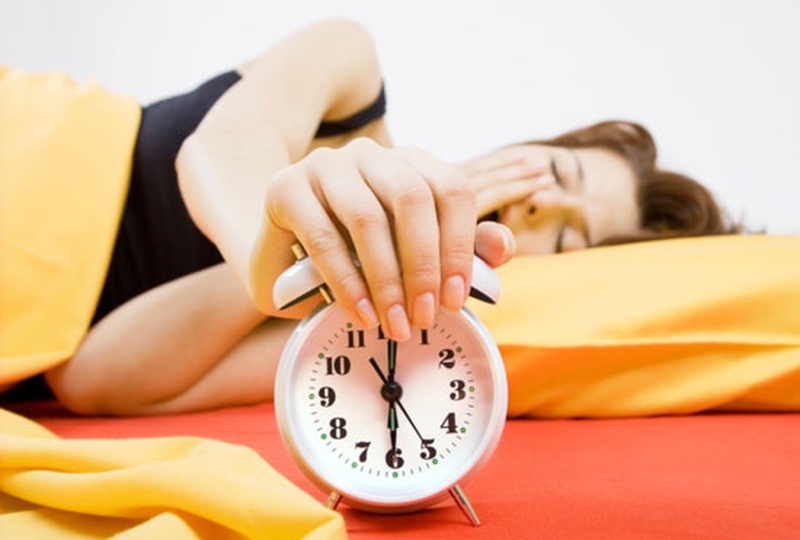 Smartphones have replaced alarm clocks for many people. The great thing about this is it makes it easy to have a song to wake you up that gets you energized. A song full of nostalgia such as “Sweet Child O’ Mine” by Guns N’ Roses is gentle enough in the beginning to help you wake up gently, but its power chords should help you to get out of bed feeling energized. As you get close to the time you have to leave for work or to do errands, try “The Final Countdown” by Europe. These are just some examples. Experiment and choose what works best for you. Caffeine is great for giving that boost needed to be mentally alert at work and has been shown to increase memory. The trouble is when the caffeine wears off and you start to crash. Try having half cups of coffee instead of a full cup of coffee. This will reduce the crash you feel and helps your energy remain consistent. There never seems to be enough time in the morning to get ready and this can leave you rushed and stressed out. This really isn’t a good way to start your day. Wake up with enough time to be able to sit and think about everything that you need before you leave your home and anything you might need for the day. This will help you to stay calm as you leave. You’ll also be more concentrated throughout the day. When you wake up, it’s likely that you feel like you’re still half asleep. If you have a routine set in place, you can do everything your normally do without much thought. This will allow you to get everything you need to done while you’re still waking up.